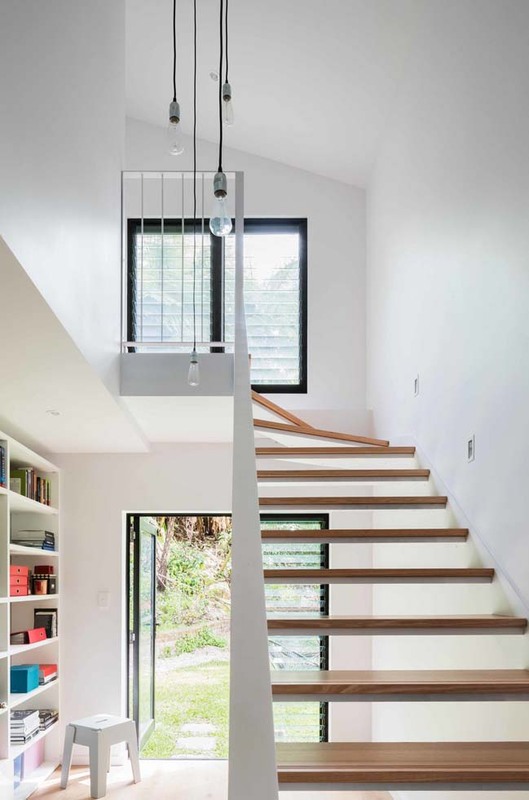 Designed by Bijl Architecture. 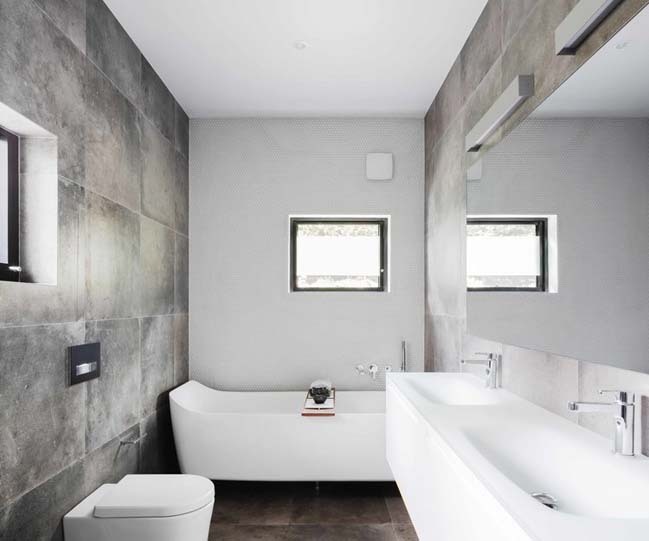 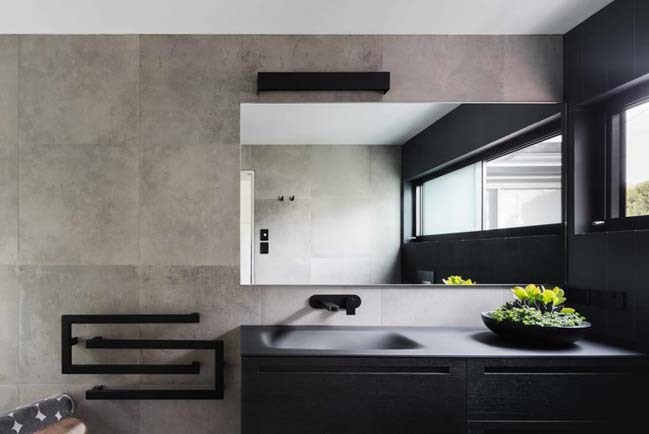 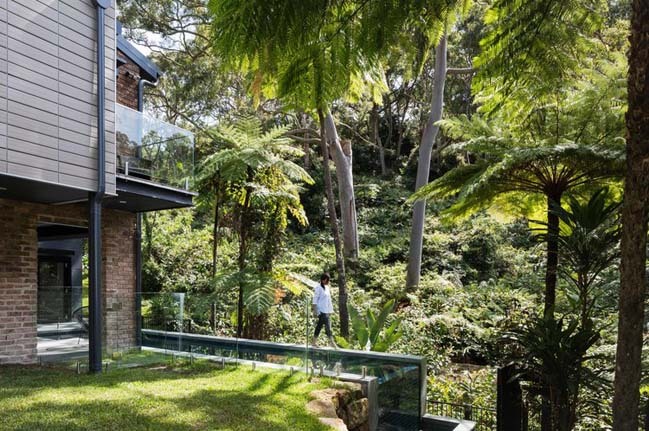 Burrawong House is the 1970s brick dwelling that was renovated to create a compelling links between the dwelling and its bushland surrounds, providing opportunities for serenity and retreat. 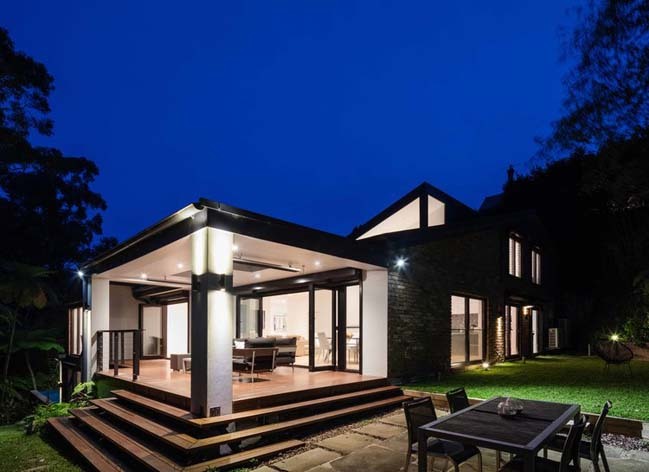 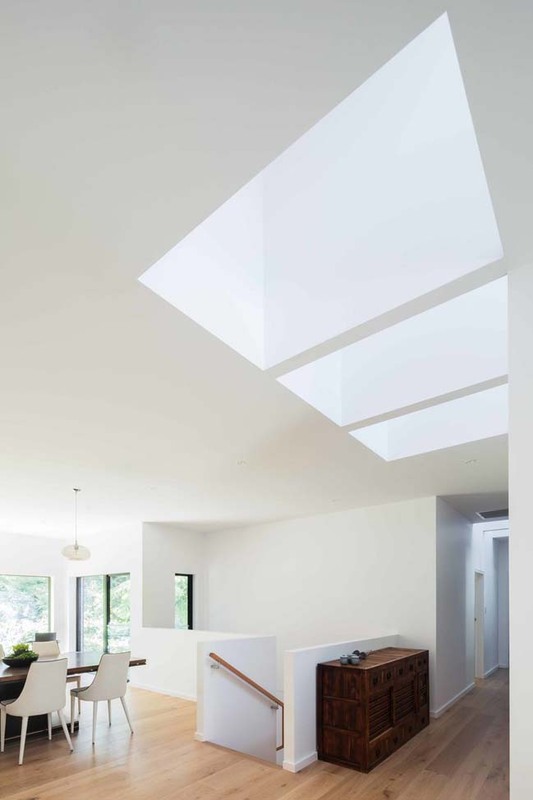 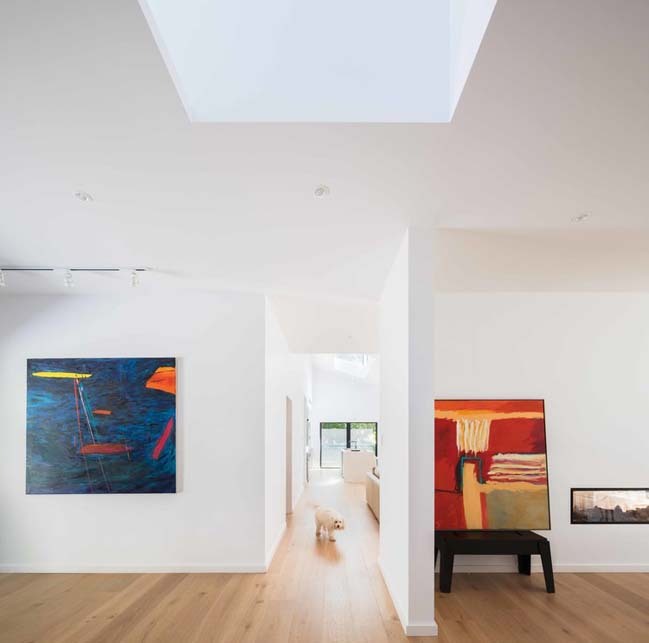 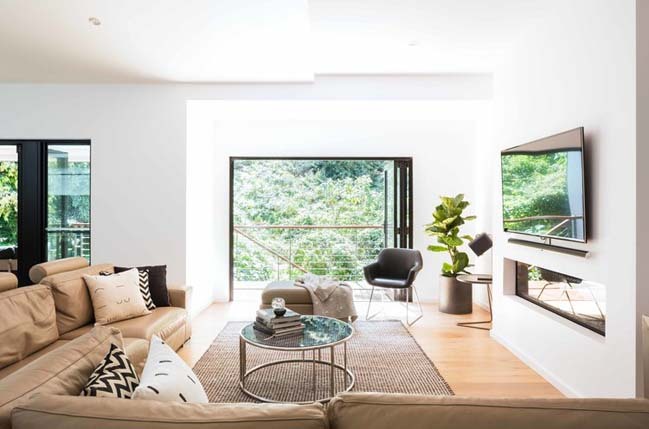 Project's description: Bijl Architecture was engaged by the owners from the very conception of the project, assisting with identifying an ideal site that captured both tranquillity and suburban amenity. 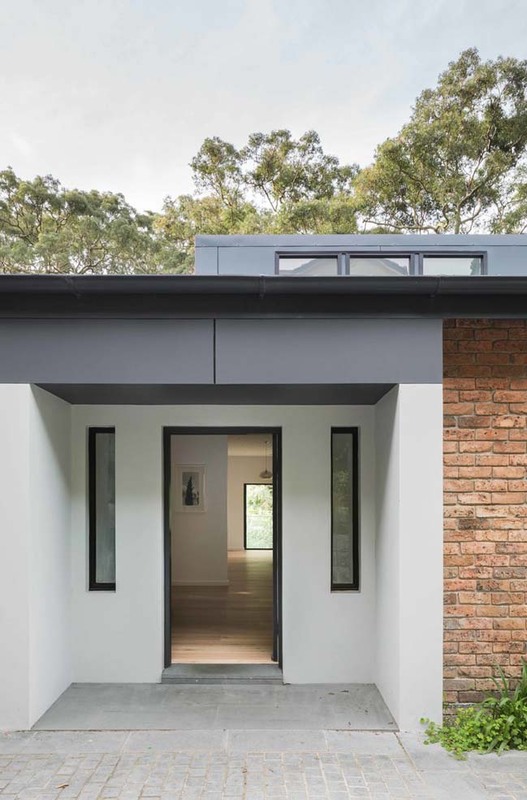 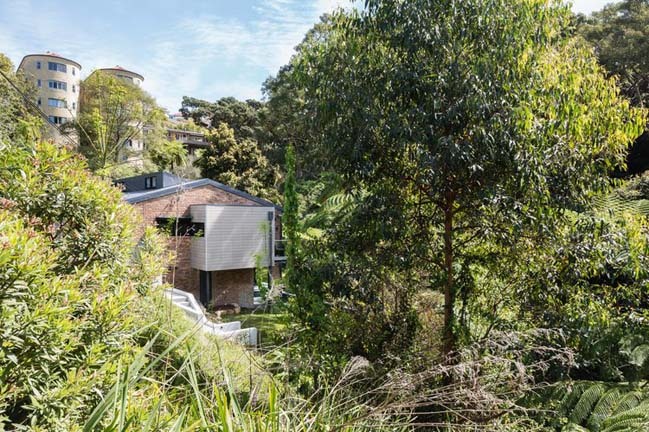 Through careful manipulation, alteration and augmentation of the original 1970s brick dwelling, the scheme interacts with its bush surroundings in an interplay of light and shadow. 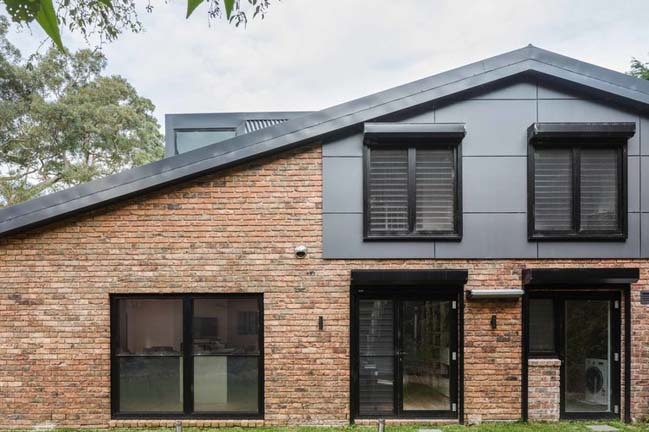 The simple form of the original 1970s dwelling required specific formal responses, with the new additions designed to nestle under and into the existing building form. 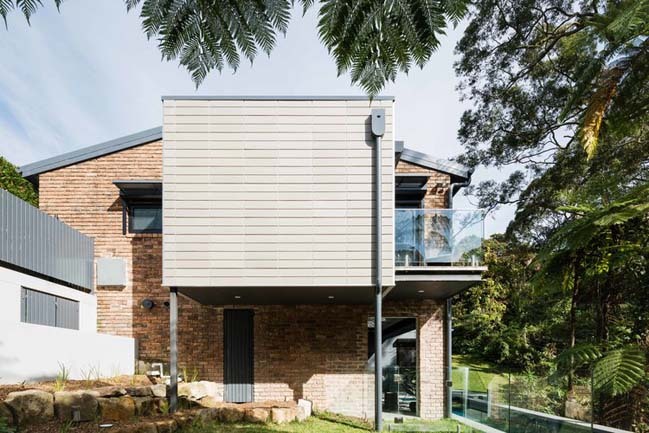 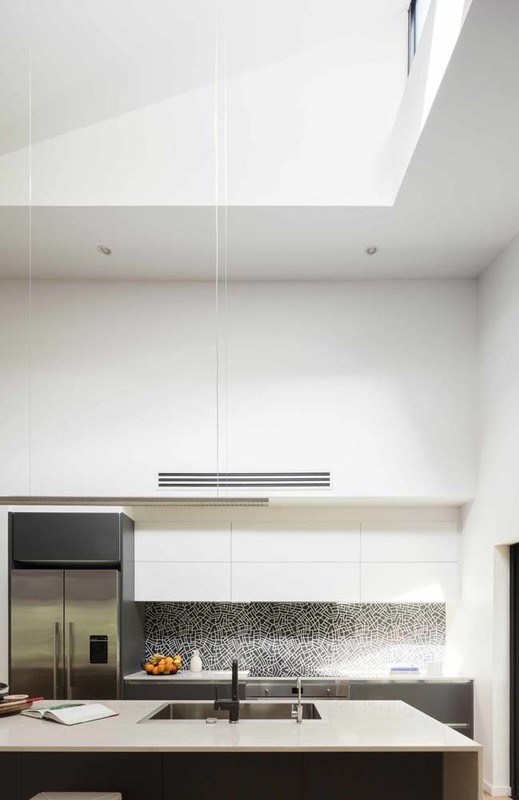 Key design elements such as large picture windows, clerestories, raking ceilings and internal/external spatial flows have been leveraged so as to compete with the shading of the extensive foliage and deal with the difficult bush fire zoning. 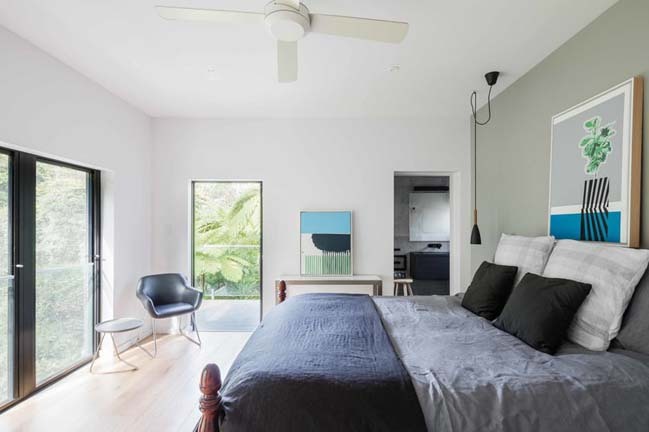 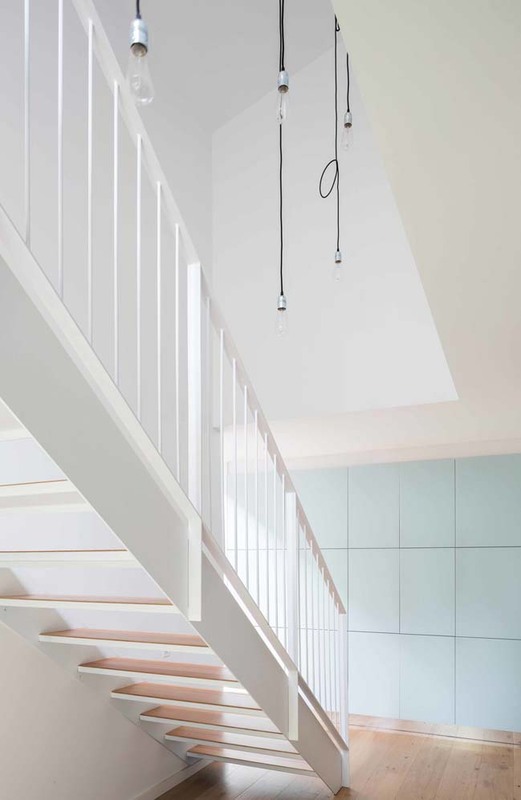 Utilising this design approach, an equilibrium of spaces come together, making the house work vertically as well as horizontally. 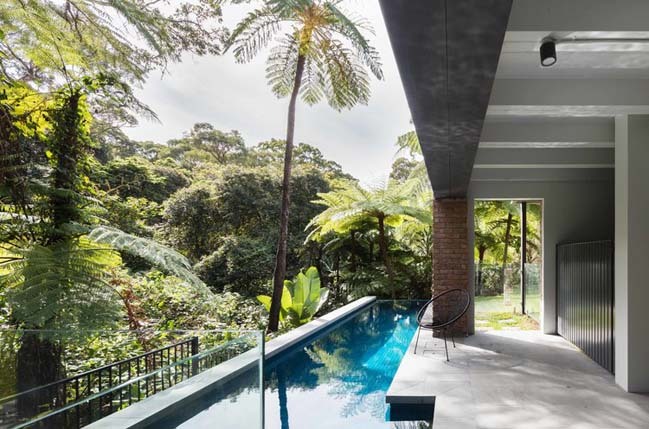 A series of careful insertions – under the house to create a music studio, at the side of the house to create a magnificent lap pool that juts into the bush – translates into a multiplicity of soft or transitional spaces for escape and relaxation. 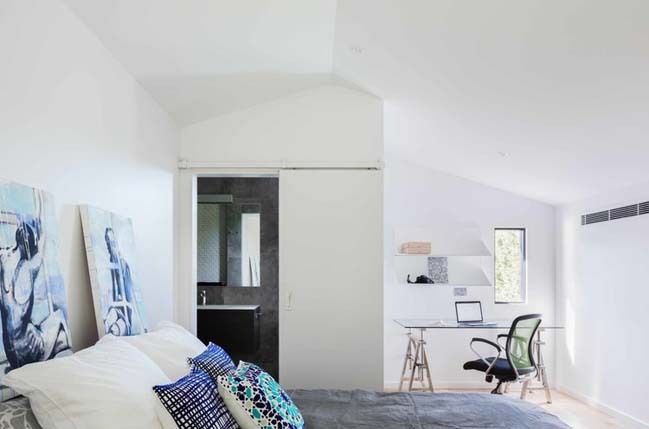 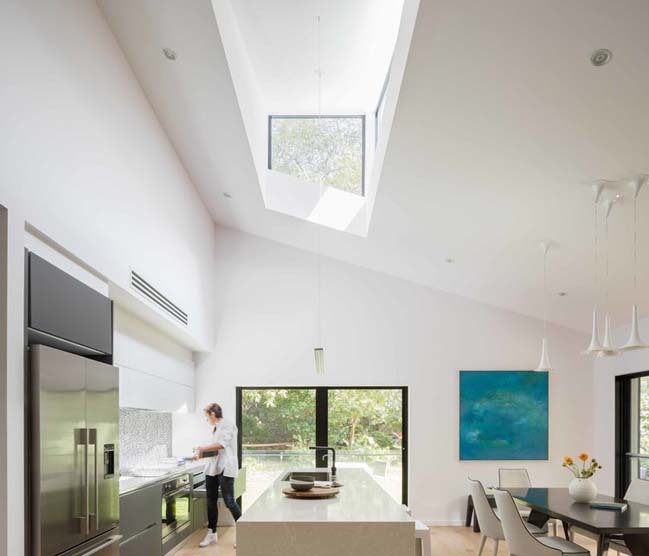 The result is a house that bows to the bush, that makes the most of its original, modest form by offering a flexible family home focused on quiet beauty.